Our firm has marked a significant presence in the industry owing to its efficiency of making available a precisely designed Comfortable Sports Shoes. 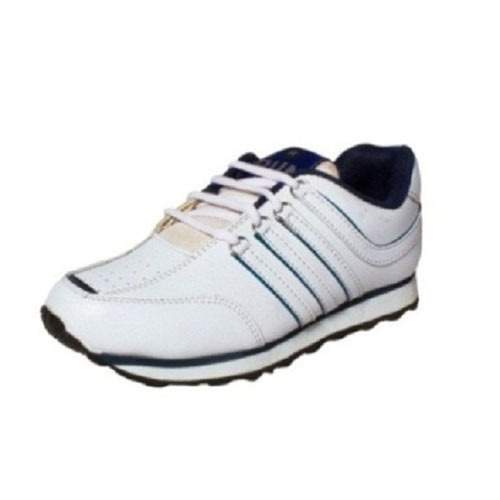 Established in 2013, SSG Enterprises is a highly eminent Manufacturer of an exceptional compilation of Semi Ankle Shoes, Sport Shoes, Golf Shoes, Black Shoes, Leather Sandals and High Ankle Boot. These products are designed by a group of extremely capable employees keeping in mind the modern trends in the footwear industry. Our vendors’ professionals use contemporary technology and progressive machinery to manufacture these products with utilizing excellent quality material. Our talented quality controllers conduct these tests and make sure our accessible products to be free from any type of faults. . Due to our well-informed team, we are proficient to meet all demands of our patrons.